Hand set Diamonds - prong setting. Natural (not lab) diamonds are I-clarity. 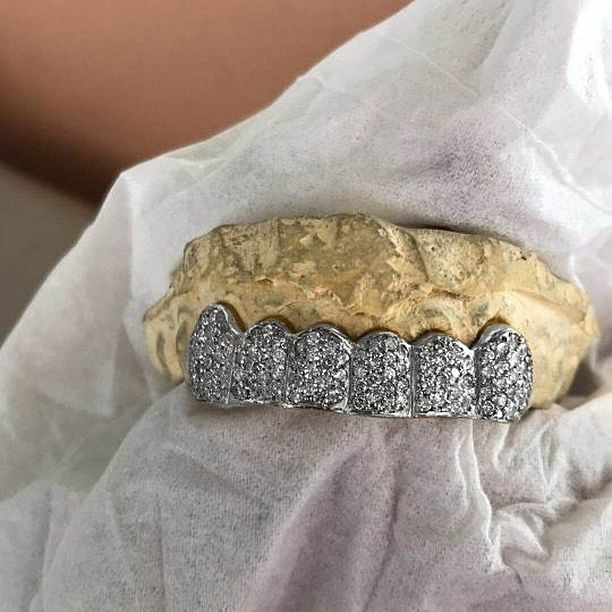 Each tooth has between 14-18 diamonds. I-Diamond 925 silver price = $280 per tooth.